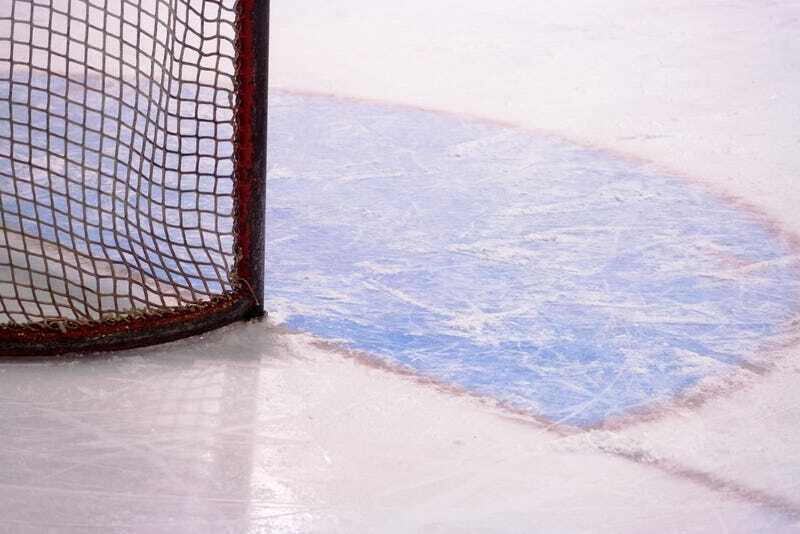 This Saturday during a Minnesota Junior Hockey League game in Wisconsin, a Zamboni machine malfunctioned, leaking enough carbon monoxide from a propane tank to hospitalize 81 people. The game between the Dells Ducks and Rochester Ice Hawks was halted when one Ducks player fainted and several dozen had to be taken to local hospitals, including the Ducks' coach, who is named Bill Zaniboni. "The good thing about this is a lot of people got sick all at once, so it was recognized quickly and the exposure was pretty limited," Matt Lazio, director of St. Clare's emergency department, told WISC. "But this is a potentially fatal kind of poisoning." After the game, Fatis continued, "one of our players from last year pulled me aside and said, 'You know, I got really sick here last year.' " The player added that his father raised the prospect of carbon monoxide as the culprit. Every player who skated Saturday fell ill, Fatis said, along with himself. Some of them were "on the floor in the [Super 8] lobby vomiting," Fatis said. "I triaged them to get the guys out [to a hospital], and then I kind of lost it." Zaniboni said "we started questioning things after the game" when the player now in a Milwaukee hospital "hit the ground, out cold." Zamboni poisonings aren't unheard of—just a few weeks ago, 16 people were hospitalized in Ottawa in a similar incident. But a rink that gets players sick every year and sends a couple dozen vomiting people to the hospital is probably a good enough argument for a law for mandatory carbon monoxide detection.